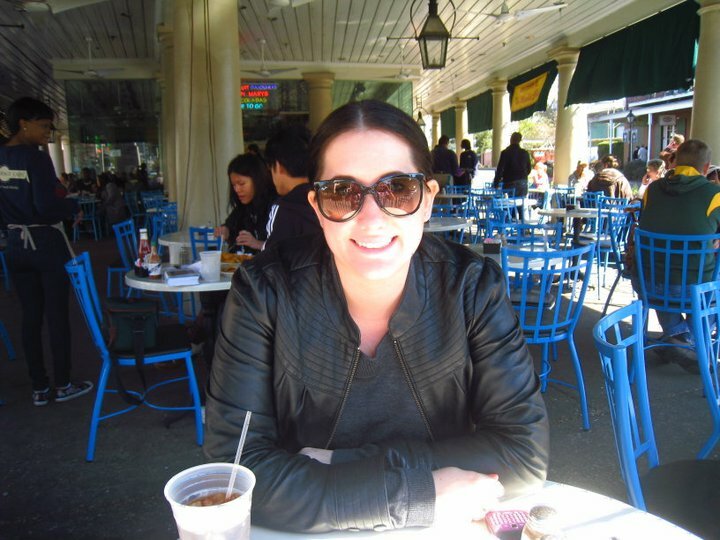 In February of this year, Gareth and I went to New Orleans to celebrate my birthday. While we were there, we wanted to sample the local cuisine and the tastes that they are known for. 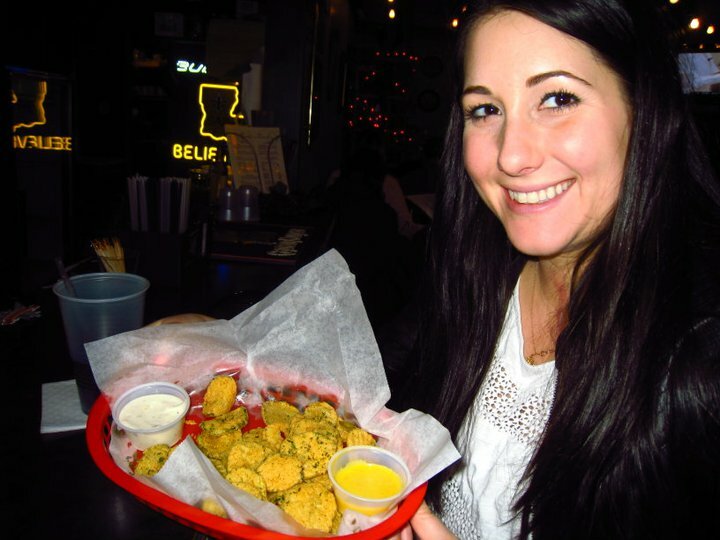 We ended up doing a lot of snacking and nibbling throughout the day, opposed to large meals, to try all the great flavors of NOLA. I wonder if you can guess which food below I was most excited about? 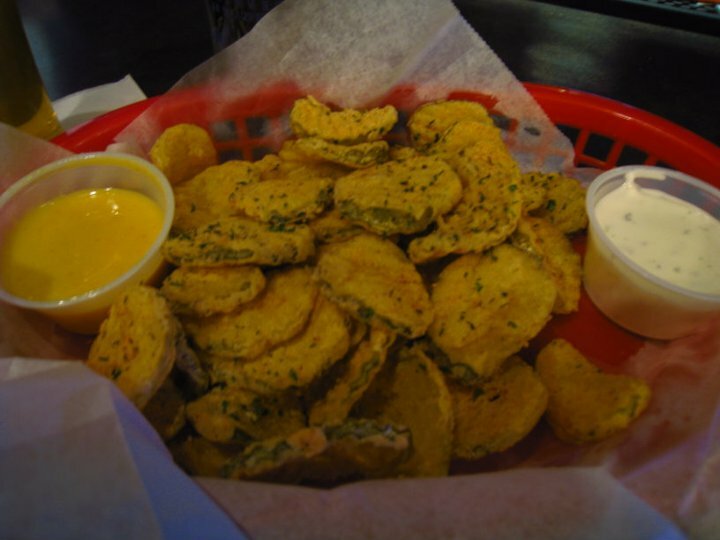 Fried Pickles: Gareth and I found a little dive bar/restaurant called Fiorella’s Cafe and we stopped in for an Abita beer and snacked on what I can only describe as gloriousness I mean, fried pickles? This is taking pickles to a whole other level! 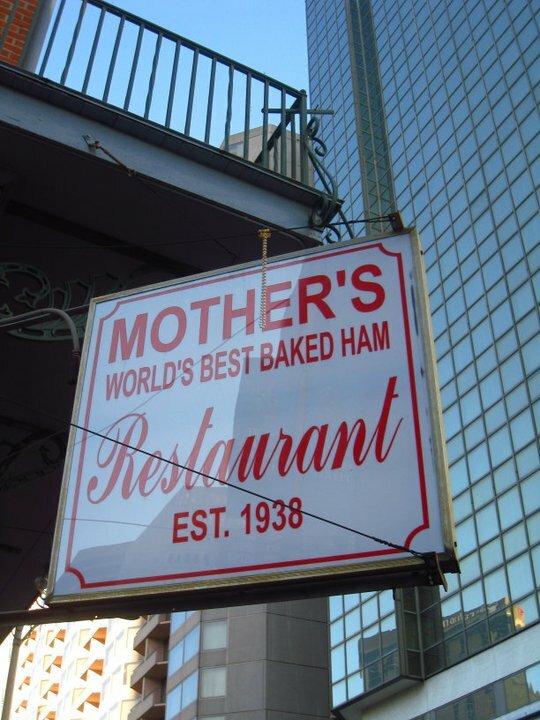 Baked Ham, Eggs & Grits: One of our cab drivers on the trip had told us to go to Mother’s for breakfast. (www.mothersrestaurant.net) Mother’s is a very laid back, casual place where you can order everything from omelettes, barbeque to po’boys to go with their “world’s best” baked ham. 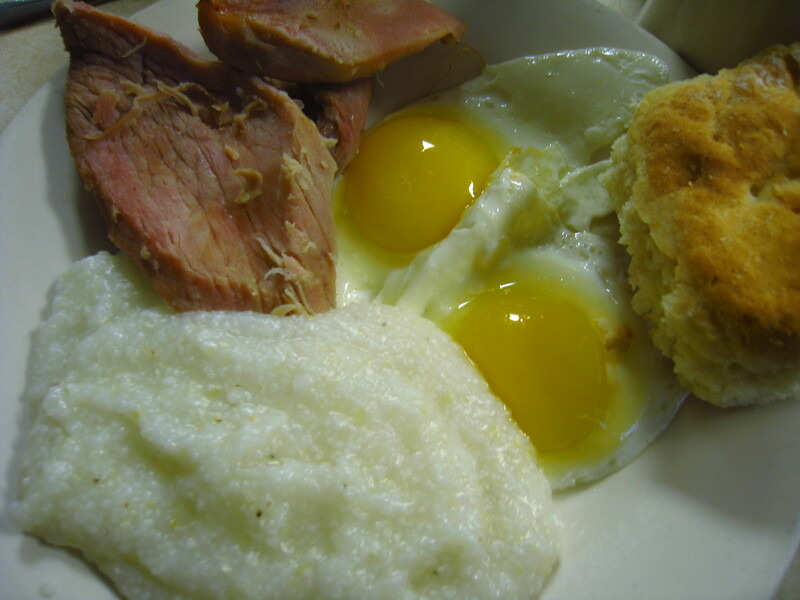 Gareth and I both chose eggs and grits to compliment our baked ham, and of course it came with a homemade biscuit. A very hearty way to start the day! Shrimp Po’boy: The last day of our trip, it was 60 degrees out and beautiful, so we sat outside at this cute cafe in the French Market called Market Cafe where they were also playing live Jazz music. (www.marketcafenola.com) Gareth ordered a shrimp po’boy. A po’boy is New Orleans’ most famous sandwich, made with French bread and lettuce, tomato and mayo. 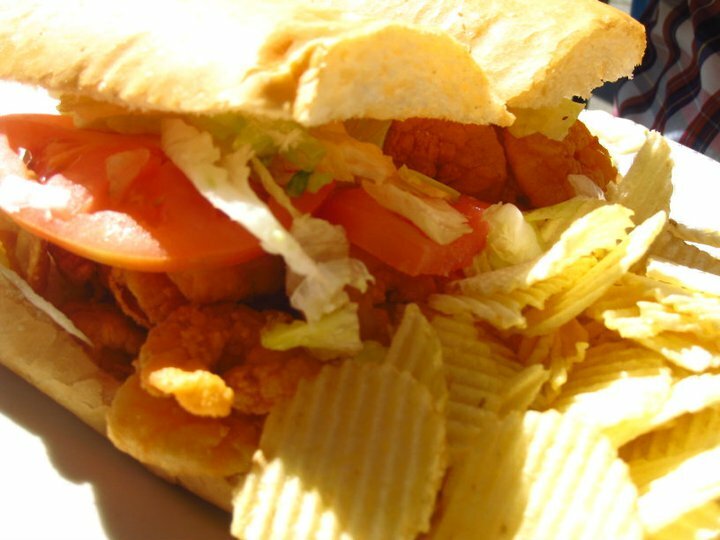 This particular po’boy was topped with fried shrimp and served with potato chips. 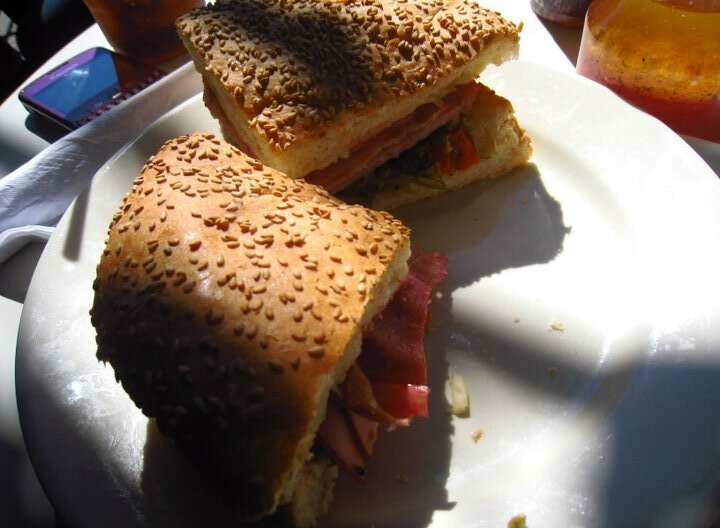 Muffuletta: At Market Cafe, I ordered a Muffuletta sandwich, one of New Orleans’ other signature sandwiches. A muffuletta is made on a muffaletta loaf with olive spread, LOTS of Italian meats (capicola, salami, pepperoni, ham) and provolone cheese. The muffuletta is said to have been created at Central Grocery in NOLA, which was just across the street from the Market Cafe. Oysters: We stopped by Felix’s Restaurant & Oyster Bar (www.felixs.com) for some fresh afternoon oysters. 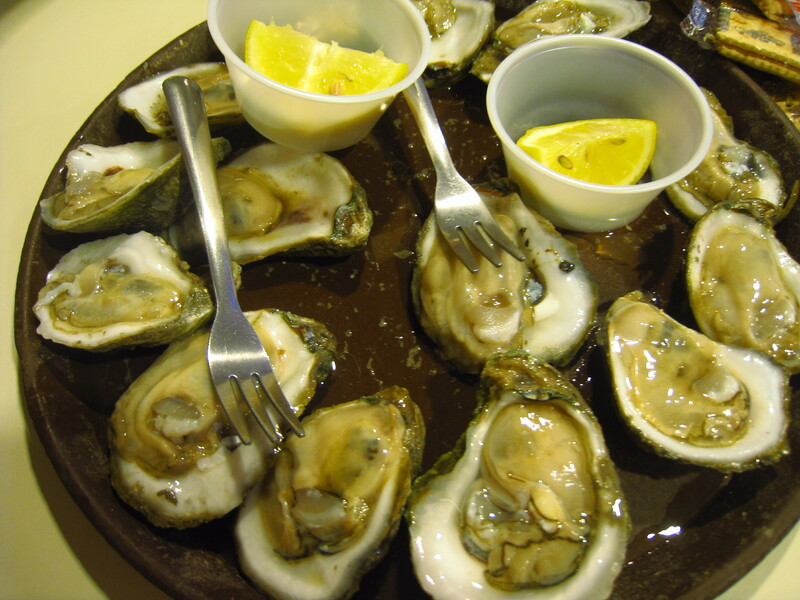 You’ve got to have oysters in NOLA! 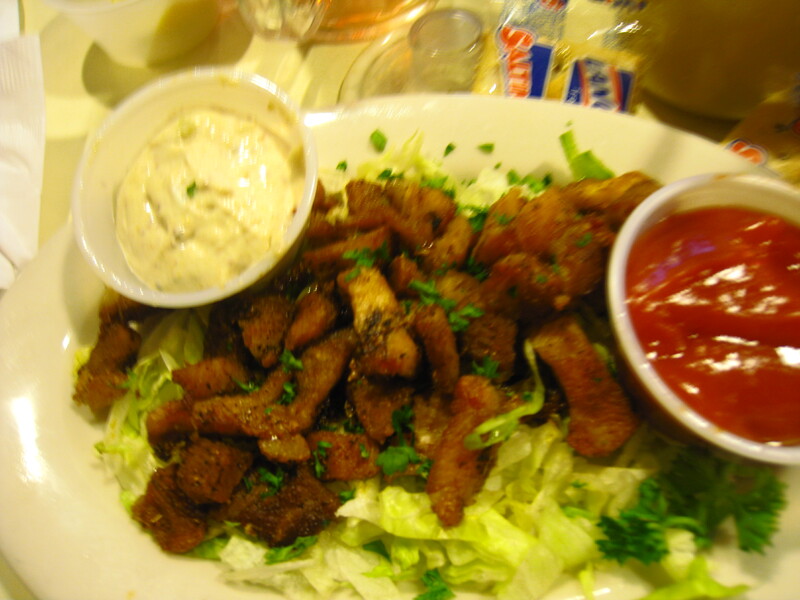 Blackened Alligator: Also at Felix’s, we decided to give alligator a try. I’ve got to be honest, alligator is NOT for me, but Gareth really enjoyed it. Sweet Barbeque Glazed Salmon: Emeril Lagasse is a well known chef from Louisiana, so we wanted to go to one of his many restaurants to try the cuisine. 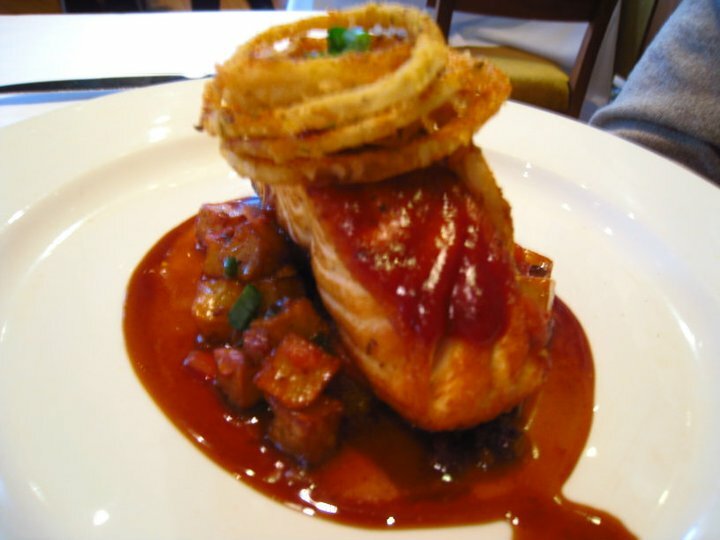 We went to lunch at Emeril’s New Orleans (www.emerils.com) and Gareth ordered this creation of sweet barbecue glazed salmon with andouille potato hash, crispy onions and house made worcestershire. It was a beautifully plated dish! 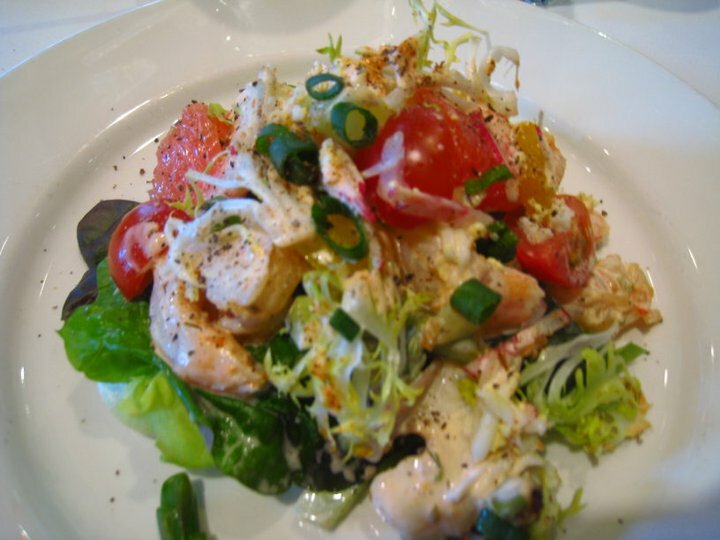 Gult Shrimp Louis: I ordered this at Emeril’s, featuring truffled Gulf shrimp “Louis” with butter lettuce, local citrus, smoked bacon, chopped egg and asparagus. It was a very rich meal, but the citrus really cut the heaviness and packed it with lots of fresh flavors. Taste Plate: On our last night in NOLA, we went to a restaurant called Coop’s Place. (www.coopsplace.com) Coop’s is known for their authentic Creole and Cajun food so the best route for me was to get a taste of everything with this dish. This plate included shrimp Creole, Cajun fried chicken, red beans & rice with sausage, and rabbit & sausage jambalaya. A lot of bold flavors!